Eyeglass frames can truly reflect who you are as an individual. Is your style funky? Preppy? Sporty? Trendy? Conservative? Whatever your personal style, Mosaddegh Eye Institute offers a large variety of designer eyeglass frames as well as frames for more budget-conscious individuals. Our experienced optometrists in San Francisco can make suggestions on frame styles and colors that will complement your face shape, skin tone and lifestyle. They will also help you decide which frames will fit best on your face and provide the smallest possible pressure on your nose and ears within the lens prescription you have. We invite you to visit our optical center to try on our different brands to find the perfect frame for you. 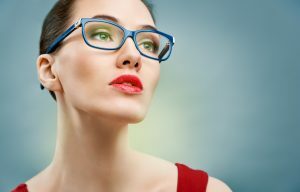 If you are searching for glasses frames in San Francisco, our team of experts is ready to help. Contact us today to schedule an appointment.